The Green Bay Packers 2018 Annual Meeting of Shareholders was held Wednesday, July 25 at Lambeau Field. 2018's meeting was the first meeting scheduled for the evening in many years and is was planned to coincide with the Packers Experience, a four-day fan festival celebrating the Packers’ 100 Seasons. In honor of 100 Seasons of Packers football, a special DC-3 flyover took place at the start of the meeting. The Packers became the first NFL team to fly to a road game when they flew two DC-3s to New York for a game against the Giants in 1940. Shareholders can watch the meeting on-demand using the username/password provided in the mail. Information about the next Annual Meeting, which will be updated as the date approaches, also can be found online at www.packersowner.com. The Packers also are asking shareholders who have not received any communications from the organization in the last 12 months to contact Shareholder Services to update their address, including street and email addresses. Shareholder Services can be reached via telephone at (855) 8GO-PACK / (855) 846-7225 or email at shareholderservices@packers.com. Information is also online at www.packersowner.com. The Green Bay Packers work with Broadridge Corporate Issuer Solutions, Inc. (“Broadridge”) to provide recordkeeping services for the shares of our stock. Together with Broadridge we manage all stock certificate requests for shareholders, including changes of address, replacement of lost and stolen certificates, and transfer of shares. More information about your ownership can be found online at www.packersowner.com. Please note that Green Bay Packers common stock is not available for purchase outside of an offering period. The Packers’ last stock sale was offered through February 28, 2012. Future offerings are not currently being considered. Green Bay Packers Inc., has been a publicly owned, nonprofit corporation since Aug. 18, 1923, when original articles of incorporation were filed with Wisconsin’s secretary of state. One of the more remarkable business stories in American history, the Green Bay Packers organization has been kept viable by its shareholders — its unselfish fans. Even more incredible, the Packers have survived and thrived during the current era, permeated by free agency and the NFL salary cap. Fans have supported the team financially through five stock sales: 1923, 1935, 1950, 1997 and 2011. Today, 361,169 people (representing 5,009,562 shares) are owners of the iconic franchise. The organization’s fifth stock offering, which ended Feb. 29, 2012, was a tremendous success with more than 250,000 new shareholders becoming owners. For the first time in a Packers stock offering, international sales in Canada were issued for a short while and accounted for approximately 2,000 shares. More than 269,000 shares were sold during the offering that began Dec. 6, 2011. All proceeds from the offering supported the expansion of Lambeau Field, a $146-million project that included a new distributed-audio sound system (2011), two new HD video boards and a new Bellin Health Gate on the north end of the stadium (2012), and approximately 7,000 additional seats in the south end zone served by the Shopko Gate (2013). To protect against someone taking control of the team, the articles of incorporation prohibit any person from owning more than 200,000 shares. The corporation is governed by a board of directors and a seven-member executive committee. Shareholders do not receive any dividend on the investment. For those shareholders who are unable to attend the Annual Shareholders meeting, you may view it online when the video is posted. The meeting videos will be exclusively for shareholders via user name and password. Viewing instructions, including username and password details, will be provided to shareholders with meeting materials. You can access shareholder documents at packersowner.com. Find exclusive Shareholder merchandise created just for shareholders at the Packers Pro Shop website. Go to www.packersproshop.com and click on the shareholder tab to sign on using your stock account information. There you will find a vast assortment of specialized items created just for Packers shareholders!  New to the Packers’ family? Stay connected to the team! Receive exclusive news, offerings and specials from your Green Bay Packers.